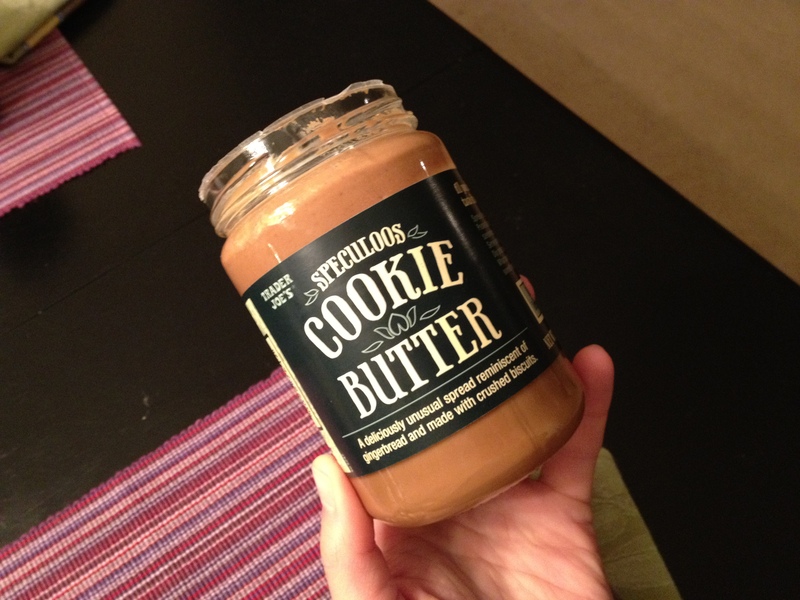 The below photo is of Trader Joe’s version, what they call “Speculoos Cookie Butter.” Not sure where the ‘speculoos’ comes from, but whatever. Anyway, I’d been hearing a lot lately about Biscoff spread on Kath’s blog and Emily’s blog, and I’d seen it at Wegmans before, so I figured I’d pick up a jar next time I was there. The only bad thing is that unlike peanut butter or almond butter, it doesn’t have any protein (less than 1 gram), so it’s not really a nutritional powerhouse or anything. It’s basically just dessert to spread on breakfast foods. Or any food, for that matter. 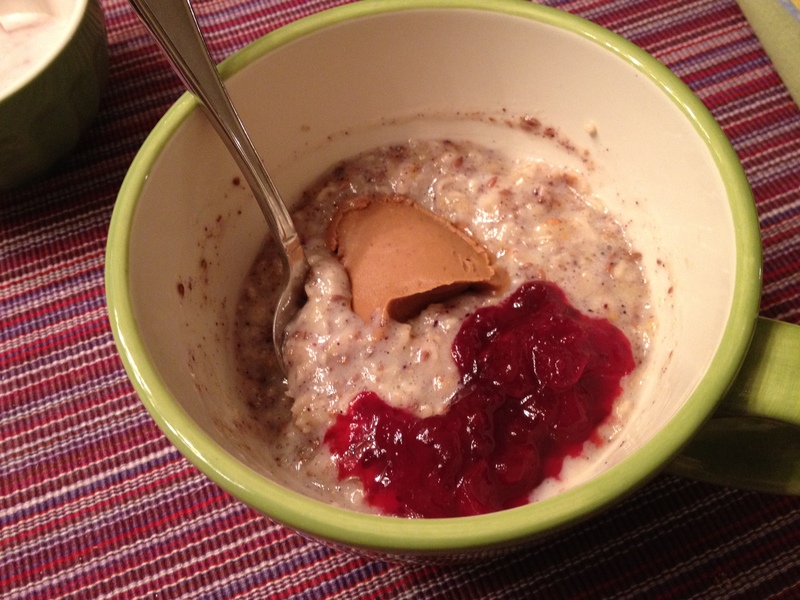 Like this morning, I spread a tablespoon on toast with the last of the Thanksgiving cranberry sauce (I’m almost embarrassed I’ve had it this long… They’re pretty acidic–how bad can they be?). 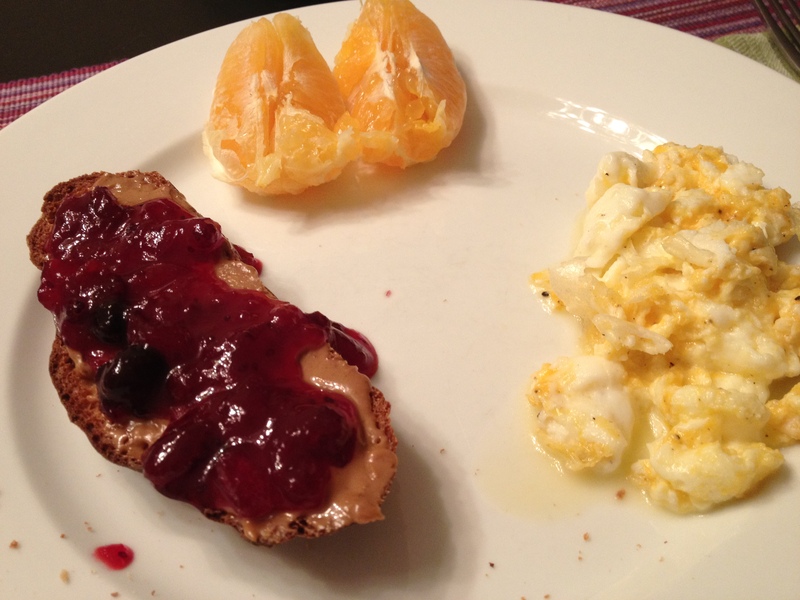 On a side note, doesn’t the above meal (toast, half an orange and egg whites with cheese) remind you of a ‘balanced breakfast?’ I never got those sugar-cereal commercials that touted their product as part of a ‘balanced breakfast’ when they’d pan and have a shot of a bowl with orange juice an a muffin. HA! Anyway, if you think you’d like this kind of thing, be sure to pick up a jar of either TJ’s version or Biscoff at your local grocery store! Posted on December 7, 2011 February 27, 2016 by thehealthypineapplePosted in #fabfood, Things I LOVETagged breakfast, cookies, eggs, Friends, nut butters, trader joe's. Yay, I’m so glad you liked it/got to try it! I want to get my hands on the TJ’s version but the Biscoff Spread is at Wegmans too (just fyi). I’d seen it at Wegmans before and never really knew what it was until I saw it on Kath’s blog. I’ve never had Biscoff, but TJ’s is AMAZING! I’m pretty sure it’s just the cookies…no nuts butter to be found. It’s fantastic!